Germany has effectively declared war on Britain via its EU functionaries. How should Britain respond? Well, I can see at least three good reasons for accepting their challenge. We got in lots of practice from 1914 to 1918 and again from 1939 and 1945. Plus, unlike the Germans, we’re still pretty match fit from Iraq and Afghanistan. So the next one should be a walkover. Free men always fight better than slaves. (See, e.g., Victor Davis Hanson’s Carnage and Culture). Germans really have nothing left worth fighting for: they are ruled by an elective dictatorship; their country is no longer theirs. But I think if we are going to make absolutely sure of winning this one, there’s one thing we’re going to have to do first: dismantle the BBC. Anyone who watched the BBC Nine O’Clock News last night with Laura Kuenssberg will know exactly what I’m talking about here. Theresa May invited President of the European Commission Jean Claude Juncker and his entourage to dinner at 10 Downing Street. Though it was reportedly all smiles on the occasion itself, afterwards a very different version of events was leaked to a German newspaper – possibly by Juncker himself, more likely by his sinister chief of staff, a German lawyer and dark arts practitioner called Martin Selmayr. According to this German version of events, the evening had been “desastrose” and “eine Katastrophe.” Juncker had made it clear that “Brexit cannot be a success” and had – after some characteristically ill-mannered remarks about British cuisine – left dinner feeling “ten times more sceptical” about the prospects of a smooth Brexit transition. 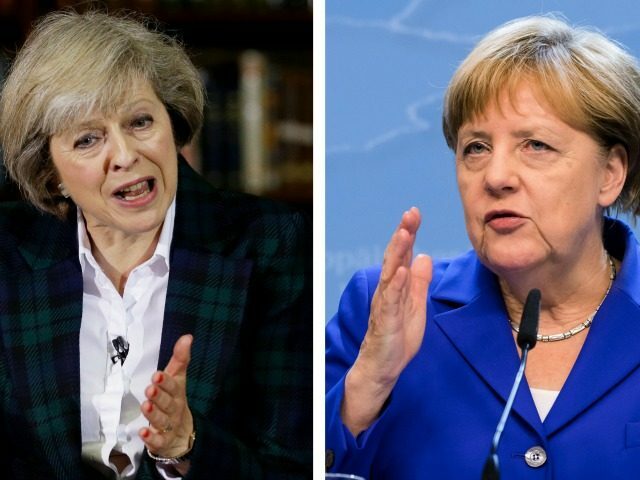 Juncker then reportedly phoned German Chancellor Angela Merkel to tell her that Mrs May was “living in a different galaxy” and “deluded.” At which point Mrs Merkel could have chosen to pour oil on troubled waters by insisting that as far as Germany was concerned the only aim was to find a Brexit agreement satisfactory to all parties. But she didn’t. Instead, Mrs Merkel stuck in the knife by making a speech to the German parliament warning that Mrs May should drop her “illusions”.